Much like the urban energies and nightlife diversions it draws from, the album emanates no shortage of uplifting rhythms and effervescent pop, folk, and R&B distinctions. 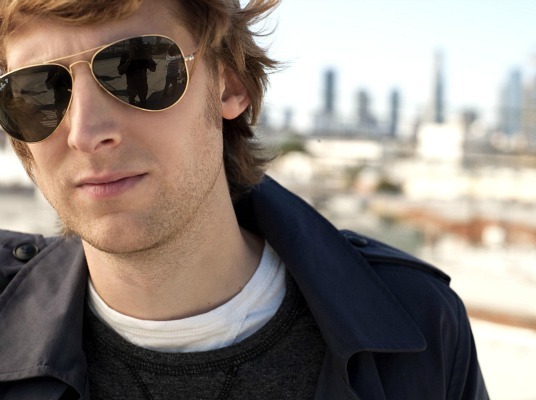 As a follow-up to his debut, Sounds Like This, which topped the Billboard Heatseekers chart upon its release in 2007 and has sold over a quarter of a million copies to date, it’s solid and soulful. On paper you come across as a singer/songwriter and people generally have a preconceived notion about what that suggests: perhaps a guitarist, a folk musician. But you’ve got a lot of R&B and pop influences coming through this new music. Yeah, I mean, Stevie Wonder's a singer/songwriter. Paul Simon’s a singer/songwriter. The Beatles are singer/songwriters. I have a ton of different influences that I love. There are some songs on the album that are a little more traditional—like “Breakdown More,” [which] is an older song—that come closer to the singer/songwriter mold you’re talking about. I consider myself a soul singer, really, who writes songs. I spend a lot of time thinking about what kinds of songs I want to sing with the crowd. I used to do slower songs, more shy, quiet stuff. That wasn’t very fun for me. And it wasn’t fun for the audience… This time around I really thought about what songs do I feel like are missing from my set. What do I want to sing with crowds? What do I want to lead people through? So I think that pushed some of where the music went. You came to live performance rather late, didn’t you? There is a big difference between being a recording artist and an entertainer. It’s disappointing when you love somebody and you go see them live and it’s not the same feeling. I try really hard to follow that feeling I had when I wrote the song and when I recorded it. I open that bottle every night and just tap into it for the live show. Part of it is just your disposition, but you seem very composed and modest in an industry that frankly doesn’t encourage either. I’ve just learned a lot. The thing in the end that I’ve learned is that I can’t do this just because I want to be famous or rich or something. That stuff doesn’t keep you warm at night when nobody cares. In the end I still do this because I love making the music. Sometimes there are some perks involved. Sometimes there’s some embarrassment involved. But in the end I feel it’s a privilege to be able to get to do what I do. 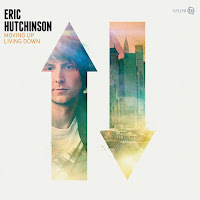 For more information on Eric Hutchinson, please visit the artist's official website.